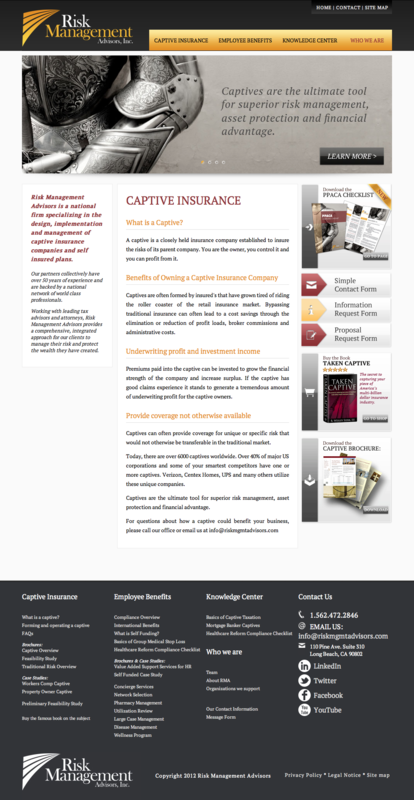 Risk Management Advisors is a national firm specializing in the design, implementation and management of captive insurance companies and self insured plans. Risk Management Advisors partners collectively have over 50 years of experience and are backed by a national network of world class professionals. Working with leading tax advisors and attorneys, Risk Management Advisors provides a comprehensive, integrated approach for their clients to manage their risk and protect the wealth they have created.